A former Spokesperson for the Peoples Democratic Party (PDP), Prince Dayo Adeyeye, has defected to the All Progressives Congress (APC). 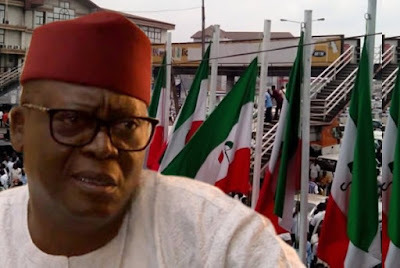 The former Minister of State for ‎Works said he was joining forces with the APC and its candidate, Dr. Kayode Fayemi, to rescue Ekiti from the PDP led Government. As expected, Adeyeye left with his supporters.